Growing medicinal herbs is fun, economical and easy! Whether you have a large garden site or simply a pot on a window sill, you can start your own medicinal herb garden. By growing your own healing herbs, you will have safe, effective home remedies at your fingertips. Did you know that most culinary herbs have medicinal qualities? If you grow common herbs that are used for making food taste terrific, you are simultaneously growing a medicinal herb garden! Basil has many healing properties. It can be used to treat arthritis, upset stomachs, gum ulcers and earaches. Rosemary contains antioxidants and is useful for heart and respiratory health. Oregano and thyme are great for fighting infections and treating respiratory conditions such as stuffiness, congestion and coughs. Sage is wonderful for relieving hot flashes and soothing sore throats. Grow lemon balm to make into an uplifting tea. Echinacea or Cone Flower is known to boost the immune system. Peppermint can assist with digestion and provide relief for the common cold or flu. Ginger is used to treat motion sickness. Dandelion is used in herbal remedies as a diurectic to help lower blood pressure. It can also be used to boost the appetite. Cayenne Pepper can prevent ulcers and relieve arthritis. As an added bonus, most of these medicinal, culinary herbs take up little space. They grow very well in pots. 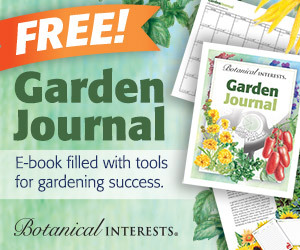 For additional information on this subject, see our articles on growing herbs in pots to get growing tips or container herb gardening to select the right type of herb posts. As you see from the prior examples, medicinal herb gardens take many forms. You may already be growing medicinal herbs and simply not realized it. You can grow an herb garden in all climates. Medicinal herbs are ideal for city dwellers as many require low maintenance and take up little space. Flowers sometimes contain medicinal properties. Besides adding beauty to your garden, flowers make tasty herbal medicines. Lavender offers relaxation and aromatherapy. Purchase lavender plants for growing; as the seeds are difficult and slow to produce mature plants. Johnny jump ups provide long lasting color. These little beauties can be also be made into toners that soothe the skin. Chamomile soothes belly aches and promotes relaxation. German chamomile is an easy annual to grow in a child’s flower garden. Children love to grow and pick the flowers, and then make the tea that Peter Rabbit drank. Another bright orange flower which is excellent for skin care and stopping the growth of viruses and bacteria is the cheery calendula. Calendula can be made into a healing balm for diaper rash and chapped skin. Tall, airy dill is another great herb for a child’s garden. It soothes colic and attracts butterflies. There are endless types of medicinal herb gardens. You may choose to have a distinct area in your vegetable garden designated for herbs or you may plant medicinal herbs to grow alongside your fruit and vegetables. If you are a vegetable and fruit gardener, you may not have considered yourself as a grower of some of the best medicinal herbs, but you are. Fruits and vegetables are used in herbal medicine for healing purposes. – Garlic destroys bacteria and viruses. It rids the body of internal as well as external infections. All members of the garlic family, such as onions, shallots, and chives offer similar healing benefits. Juice from cabbage can heal stomach ulcers. Use raspberry leaves to enhance women’s health. Blackberry roots may be made into herbal medicine to treat diarrhea. The most important part of choosing what medicinal herbs to grow is determining what grows well in your environment. It is possible to manipulate growing conditions; but you will be more successful if you choose plants that thrive in your environment. If you choose to grow herb plants which do not flourish in the conditions available to you, the easiest way to change the environment is to grow your medicinal herbs in containers. For a complete list of herbs and supplements used in herbal remedies, including their effectiveness, usual dosage, and drug interactions, see the Medline Plus directory. The Medline Plus website is a service of the U.S. National Library of Medicine. The majority of herbs like rich loam with a neutral pH. Most medicinal herbs grow best in soils that are neither too dry nor too wet. A sunny location is usually the best, but some thrive in boggy, shaded locations. Consult the individual herb seed packet or tag to determine right growing conditions for the herbs you have selected. Several medicinal herbs thrive in dry landscapes with tough growing conditions, such as poor sandy soil, hot temperatures, and windy conditions. They generally require little care, so these plants are a great option if time and water conservation are concerns. Examples include rosemary and thyme. Aloe is easy to grow in a pot and is simple to grow. How to Start a Your Herb Garden: Seeds or Seedlings? Choosing seedlings over seeds normally comes down to the type of herbs you want to grow and how quickly you want to start enjoying your harvest. 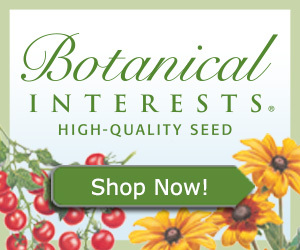 Purchase seedlings to start your herb garden quickly. If you can find the medicinal herbs you want to grow locally, that is the quickest way to create your new garden. Seedlings also take off much quicker than seeds. Often one herb plant is all that you need in a medicinal herb garden to have enough material to keep your family healthy. Many are available at local garden centers and cost just a few dollars each. Unusual medicinal herb plants are available via mail order and internet sales. If there are any plants you were unable to find locally, you can easily start your plants from seeds. Websites like Burpee.com will have an extensive selection of herbs online. This is also the most economical way to start a medicinal herb garden is to begin with seeds. You get many more plants for your buck this way. Follow the instructions on the seed packets for specific information. Some herb seeds are best started indoors, in pots; while others may be directly sown into the ground. Growing a medicinal herb garden is very healing. The healing magic of medicinal herbs goes well beyond actual plant actions on the body. Knowing that you have safe, gentle yet powerful remedies on hand is empowering. Rather than reaching for an antacid, you can take a sunset stroll in your medicinal herb garden and nibble on a couple of fronds of fennel or dill if you experience occasional indigestion. You may make a fragrant lavender compress to alleviate a stress headache. Enjoy a cup peppermint tea, when you need to focus. Give medicinal herb growing a try. It’s better than what the doctor orders.